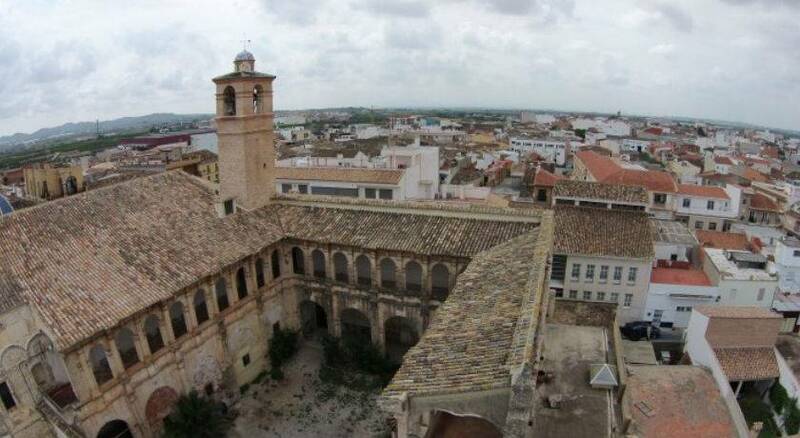 The church is part of the remains of the ancient Convent of the Dominican Convent founded by San Francisco de Borja in 1543. It is preserved a part of the manierist cloister of the ancient convent, with doublé semicircular arches gallery. In the 17th century the Works of the chapel of the Communion or of San Francisco de Borja by his canonization. It is of plant of Greek cross, with a dome covered by glazed tiles in blue and White.